You may have noticed a few aesthetic changes here at JustineCelina to kick off 2016, but that’s just the beginning! I’m taking 2016 as an opportunity for a fresh start, which includes a fresh look, fresh ideas, and new goals for a New Year. I know some people aren’t keen on the idea of New Years resolutions, but now is as good a time as any to set new goals and intentions for yourself. I think it’s important to check in with yourself often — the last time I checked in was during my Sober September (yep, I gave up alcohol for a whole month, and you can read about what else I accomplished, too). Checking in and reevaluating is something I like to do often — so today I’m sharing 5 goals, resolutions and plans for a successful 2016! This is something I heard during a video from The Female Entrepreneur Association that really resonated with me. Basically, the thinking behind it is success doesn’t happen by accident — you have to plan to truly be successful. As a goal-oriented person, I’m all about taking actionable steps to achieve my personal and professional goals. In this post, I’m sharing my goals and plans to make 2016 my best year yet! I hope it inspires you to take some time this week and think about what you want to achieve this year. I’m notorious for getting distracted easily and procrastinating — I think most creative people have difficulty focusing on one task at a time. To be totally real with you, as I write this blog post I’m also editing images for a fashion post, thinking about how I want to style the images for this post, brainstorming about my social media strategy for the week, and wondering what I’m going to make for dinner! My mind goes a million miles a minute, and over the years I’ve become pretty good at channeling that scatter-brained creative energy into my work. But, this year I’m working on a more focused, mindful approach and doing one thing at a time. Let’s say I have 10 projects that I’m working on — typically, everyday I complete 10% of each one, rather than completely finishing one project. This also goes hand-in-hand with prioritizing my time and completing tasks in order of importance. It’s easy for busy people to be pulled in a hundred different directions at once, and that’s definitely one of my biggest struggles — it’s become a form of procrastination. In 2016, I’m going to turn that around and develop better time management skills to get more out of my day. The ways you can market yourself as an entrepreneur and creative professional in 2016 are endless. So this year, I’m mixing things up by developing an out-of-the-box business plan. For me, this includes marketing my creative services (if you didn’t know, I offer creative direction, styling, design and consultation services on a contract basis), as well as adding additional passive revenue streams to my business model, and developing a comprehensive media kit for JustineCelina. Whether I’m a helping a client market their business or marketing myself, I think it’s important to focus on what makes you unique, then hone in on how you can harness that to grow your business and attract the right audience. That’s something I’m currently working on behind the scenes! Another important part of successful business planning is learning and developing new skills. This is something I started in December and I’ve already learned so much! I’m excited to continue learning from talented entrepreneurs, makers, and other inspired individuals who are going their own way and making their own magic. 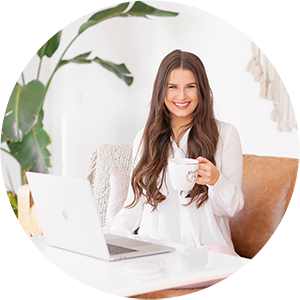 I’ve been soaking up so much information — listening to podcasts, reading lots of new blogs and books, and finding so many amazing tools to help me grow my business and market myself effectively. It’s so important to keep things fresh and stay inspired. For me, being open to possibilities includes welcoming change, breaking out of my comfort zone and embracing opportunities that come my way. Last year, I took a leap of faith and started blogging — and I’m so excited to continue along this path and see where it takes me. This will mean that content here on JustineCelina will grow and change and I grow and change. Expect lots of fresh new ideas and topics this year! As someone who thrives on not having a specific day-to-day routine, in 2015 I realized that I can be more flexible with my time and work pretty much anywhere. This year I’m going to shake things up, go on lots of adventures, travel more, and take advantage of having the freedom to work from different locations. I love to work with brands, businesses and other creative professionals to craft beautiful stories. I want to open JustineCelina up to more collaboration and partnerships in 2016, and take on projects that will help me grow, meet new people, and build new relationships. I think collaboration is so important. Creating beautiful things is my one true passion — it makes my heart happy. My main motivation for starting JustineCelina was to showcase my creative work, passions and inspirations in a new way, and to meet and work with like-minded people. The blog has already done so much to nurture and develop my creativity, and take my career in a new direction. When I look back at my work over the years, some of my favourite, most inspired projects are born out of collaboration and partnerships. If you’re reading this post and want reach out about a project or collaboration, or would like to work with me in any other capacity, please do! Hop over to my contact page for more information on how we can work together. I consider myself a healthy person, and eat a pretty clean diet, but I’m horrible at maintaining any kind of workout routine. It doesn’t really make sense, does it? Working out is something I struggle with consistently — I always prioritize work over working out. Admittedly, I’m a workaholic. Well, in 2016 that’s going to stop! I was really into hot yoga couple of years ago, but I’m so over that! I don’t currently have the time to dedicate to a regular practice, which can eat up about 9 – 12 hours per week, for just 3 – 4 hours of actual mat time (factoring in commuting, practice itself, showering, washing your hair, etc). Ladies, I know you can relate if you’ve ever practiced hot yoga! I feel like I need something fresh this year! I want to try something totally new, possibly in an outdoor or class setting. I’m looking into barre classes, and I would also like to get into running. Running is something I’ve always wanted to do, but I can never seem to get past the initial unpleasant stage and into ‘runners high’ mode. 2016 seems like the perfect time to start! For me, a workout routine is something I need to plan — I’ll stick to a plan, because I’m a very results-driven person. So, starting this week I’m scheduling fitness activities into my calendar one week at a time and making exercise more of a priority! UPDATE: Check out My Fitness Routine to see what I’ve been doing to meet my goals. Everything I used to style these photos (other than the tulips and glasses) is from Chapters Indigo! I’m so obsessed with pastels this winter. Do you make New Years resolutions? What are your goals and plans for 2016? If you’re comfortable sharing them, please leave me a comment — I’d love to know! What are your favourite resources for planning and inspiration? I’m always looking for new ideas, so I’d appreciate your recommendations. And if there’s any specific content you’d like to see here at JustineCelina this year, you’re always welcome to request it — I take reader requests quite often. In fact, this post was inspired by a reader request via Instagram. I wish you all a wonderful 2016 full of health, happiness, success and whatever else you envision for yourself! I thought your logo looked different – love the update! Honestly, 2016 was the first new year I didn’t feel inspired to make a list of goals, but I have to say, reading your list has got me inspired :). Thank you!